​India among top 5 countries with maximum conversations about Game of Thrones on Instagram. Mumbai tops list of cities with most conversations. Jon Snow is most talked about character on the photo and video sharing platform. 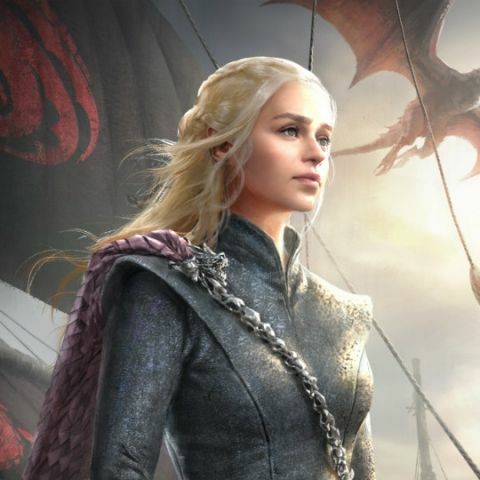 As the world gears up for the new and the last season of arguably the most-anticipated fantasy drama show Game of Thrones, conversations about the television series on Instagram have swelled up to several folds. The Facebook-owned photo and video sharing app has now released some data, according to which, India is the top Asian country with maximum number of conversions on the platform. On a global level, the country is only behind the US, Brazil and Great Britain. In fact, India is the only country in Asia to have featured in top 5. The data has been collected in last 30 days and, according to Instagram, people are discussing conspiracy theories, favourite characters or scenes, among others. “Instagram has become an important community for fans from across India to discuss all things GoT,” the company said in a press note. Based on volume of conversations, the top hashtags used across India are: #gameofthrones, #got, #jonsnow, #forthethrone and #aryastark. It also says that in India, Mumbai is the top city on Instagram with maximum numbers of conversations about the show. Mumbai is followed by Delhi, Bengaluru, Hyderabad and Chennai on second, third, fourth and fifth spots respectively. When it comes to the “Most talked GoT characters across India,” Jon snow, tops the list with maximum conversations, followed by by Daenerys Targaryen. Arya Stark, Sansa Stark and Tyrion Lannister complete the top 5 list. The following and excitement about the Game of Thrones can be determined by the fact that the show topped list of pirated shows infected with malware in 2018-2019. Kaspersky Lab found that torrent trackers may send users a file that looks like an episode of a TV show, but is in fact malware with a similar name. The researchers from the Russia-based company found that Game of Thrones was leading the list (of malware-infected shows) in 2017 as well as 2018. In 2018, it accounted for 17 percent of all infected pirated content with 20,934 attacked users.